Even if you don’t want to run yourself, you can gift your race to someone else. Whatever you do, it will be fun and muddy! Volunteers are provided with a lunch pack consisting of a savory snack, fruit, muesli bar and bottle of water. Helping others achieve their goals, seeing their huge smiles. All part of being a volunteer at Muddy Hell. Volunteering or interested in doing so and need to know more? Check out our FAQ’s…. If you are working the AM shift, you need arrive no later than 7am. If you are working the Pm shift please arrive no later than 11:30am. 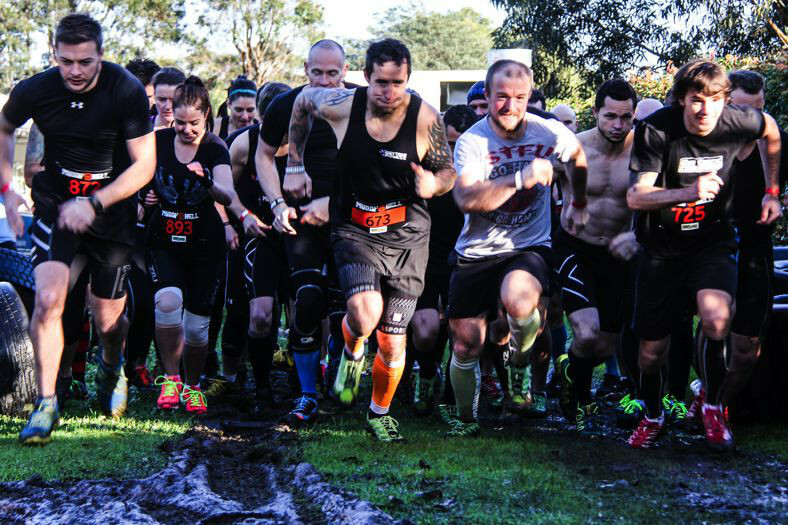 Bring yourself, clothing and shoes you don’t mind getting muddy. We will provide a snack and water. If you are racing on the same day check the FAQ for participants too. Where comfortable clothes and shoes you don’t mind getting a little muddy. Depending on the weather you might want to bring a hat and/or a jacket. And if its real sunny, dont forget your sunscreen. Gumboots are recommended but not required. Where do I check-in on the day? There will be a tent marked with a Volunteer sign. If you have any difficulty finding it, just speak with one of our team at the registration table or floating around the course.